We’d love your help. 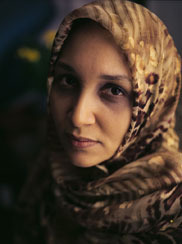 Let us know what’s wrong with this preview of Elsewhere, Home by Leila Aboulela. We’d love your help. Let us know what’s wrong with this preview of Alif the Unseen by G. Willow Wilson. We’d love your help. Let us know what’s wrong with this preview of Lyrics Alley by Leila Aboulela.